Everybody has someone in their life who practically lives in the kitchen, yet seems to already own every cooking tool and gadget in existence. An unusual book could be a good choice for those folks, of course. But if you want to really wow them, we've also got a bunch of suggestions for more out-there culinary gear that even they may never have considered. The key is to do some recon the next time you're having dinner at their house, and linger in the kitchen so you can pay attention to what's missing. Find some gap in their arsenal, figure out an upgrade for an item they already have, or, just possibly, identify some present that might encourage them to explore an entirely unfamiliar cuisine. Here are a few recommendations we'd like to highlight this season. An apron is pretty much de rigueur in any average cook's cupboard, but a cooking coat is a unique step up from even the best apron. It covers everything from the neck to the upper thighs, which means the recipient could butcher a hog and deep-fry every last part of it without worrying about a single stain or splatter marring their outfit...most of it, anyway. It's a great gift for the cook who likes to spend all day fiddling with cooking projects, or, to put it gently, those who cook with wild abandon (a.k.a. the messy ones). An excellent option for the cook who uses their sous vide machine a lot, but continues to rely on the water displacement method to get all the air out of their zip-top bags. Sure, you don't need a vacuum sealer to cook sous vide—but this list of gifts ain't got nothing to do with need. The ability to easily vacuum-seal your food is useful in other ways, too: It can help with hydrating doughs, maximizing surface contact between meats and their marinades, and avoiding freezer burn during long-term food storage. A donabe is one of those culinary gifts that offer an exciting entry point to a cuisine with which the recipient may not be very experienced. Everyone knows about ramen and sushi these days, but Japanese cuisine has a whole subset of dishes known as nabemono, or stews and soups cooked in a clay pot—the donabe. If you go this route, you may want to pair this gift with Donabe: Classic and Modern Japanese Clay Pot Cooking by Naoko Takei Moore and Kyle Connaughton, which will supply a bunch of recipes and historical context for this style of cooking. A good vein to mine when shopping for that special well-equipped cook in your life is the often-shunned category of items collectively known as unitaskers. Not all unitaskers are created equal: Some really do perform a valuable function that you can't achieve with any other tool, while others are completely superfluous. But even among good unitaskers, the Whirley Pop stands apart. 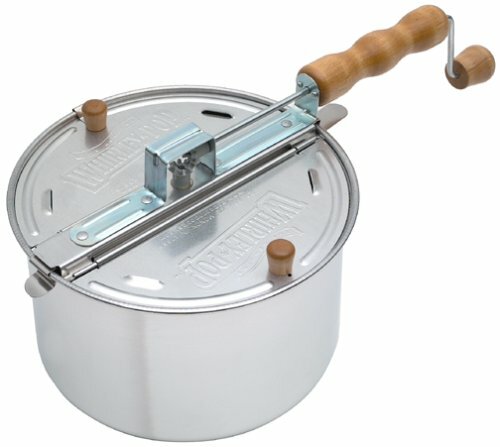 As Kenji has passionately argued, there is no better tool for making popcorn at home. Aside from being very quick and efficient, leaving very few unpopped kernels, it also does a marvelous job of evenly distributing flavorings. Earlier this year, Kenji wrote a massive review of the best backyard pizza ovens on the market, and not only did the Uuni 3 snag one of the top three spots, it's also the only one that can truly be called portable. Capable of reaching air temperatures of over 900°F (480°C), it'll allow your giftee to crank out beautifully crisp, charred homemade pizzas in just 90 seconds, from the comfort of their own patio—but also from a campsite or the beach, if they choose. And, though it may seem like a unitasker, it can cook a lot more than pizza. Think roasted asparagus, steaks, fish fillets, or anything that you'd want to imbue with a nice char and that fits in the oven with the door closed. Got a meat-loving and DIY-inclined friend who hasn't yet delved into the craft of smoking meats? Or one who lives in a building that forbids wood smokers? Or one who's just constantly hungry for the latest in grilling and smoking technology? Either way, this WiFi-enabled electric smoker from Char-Broil got the seal of approval from our good friends over at AmazingRibs.com, and made it into their review of the best new high-tech grilling and smoking gear for us this year. 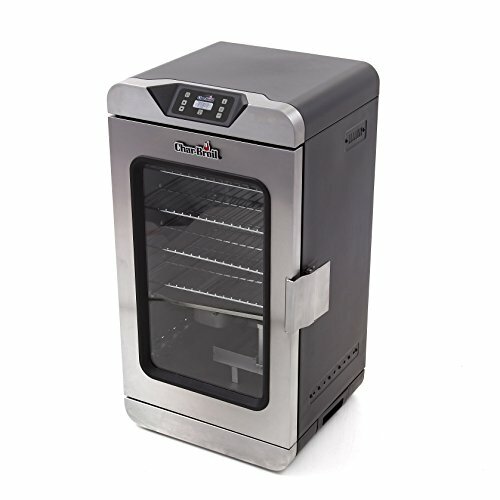 You won't get quite the same level of smoke or flavor that traditional wood or gas devices can deliver, but an electric version is still great for smoking your own jerky, fish, or nuts at home, and Char-Broil's is significantly more affordable than some other models out there, not to mention easy to operate. If your gift recipient seems to have kitchen gear totally covered, turning to drinks might be the way to go. A wine fridge is essential for any oenophile intent on building a collection of special-occasion bottles—you don't want to subject those expensive purchases to the highly variable temperatures of the air in your home. And, while I'm not saying that a wine fridge should be repurposed for dry-curing meat, it might be of interest to your giftee (or you) that the optimal temperature range for that project is between 50 and 60°F (10 and 16°C), which is easily achievable with a good wine fridge. This hands-free soap dispenser isn't just for germaphobes! Anyone who gets their hands messy in the kitchen (and that should be everyone who cooks) will appreciate the freedom it gives you to clean up between prep stages without having to paw at the pump with salmon-covered hands. And the fact that it knows to spit out different amounts of soap depending on where you place your hands will just make you wonder why we don't all have flying cars right now.